Title: Hi. I Love You. 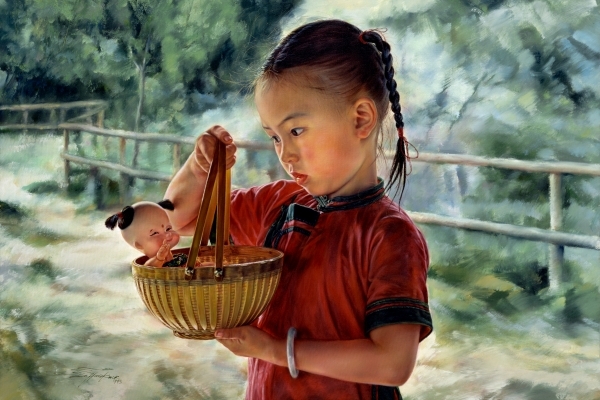 Description: A pretty, pig tailed girl carries a doll in a basket. To her, the dolls not simply a thing made of fabric and stuffing, but alive and her very best friend. The girl looks at her doll with love and tenderness, and it seems, to her, that the doll is saying, "Hi. I Love You. ".